Wi-Fi capability provides easy transfer of images and videos (from the EOS 7D Mark II only) in MP4 format to a compatible smartphone or tablet, and remote still photo shooting and camera still photo setting changes. 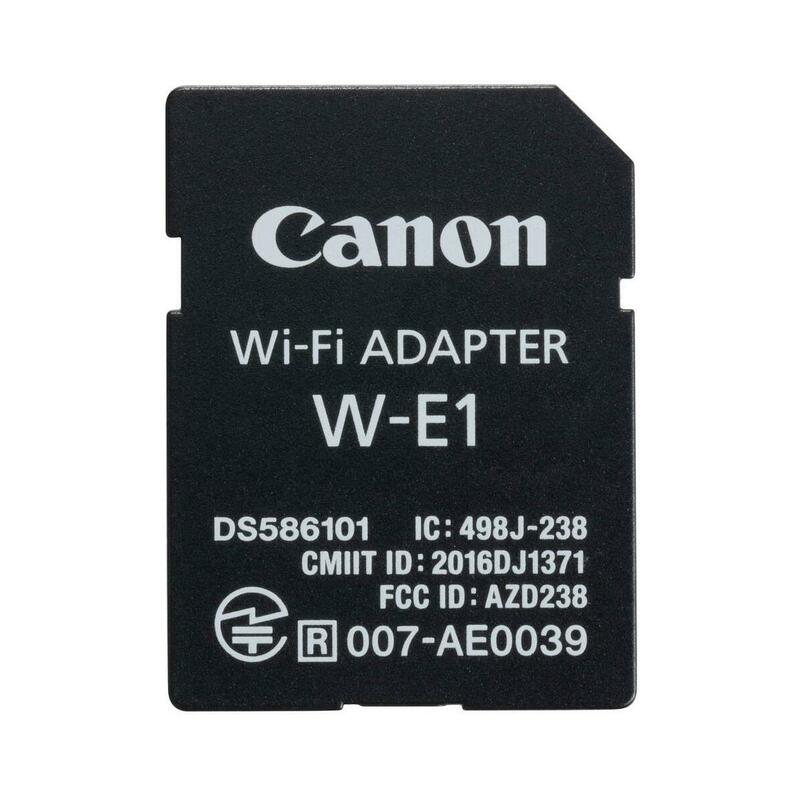 Canon W-E1 Wi-Fi Adapter – brings Wi-Fi capability to your EOS Cameras without Built in Wi-fi feature. Now you can control your EOS cameras ( without built in wi-fi capability) remotely over wi-fi using your phone, ipad, tab or computer. 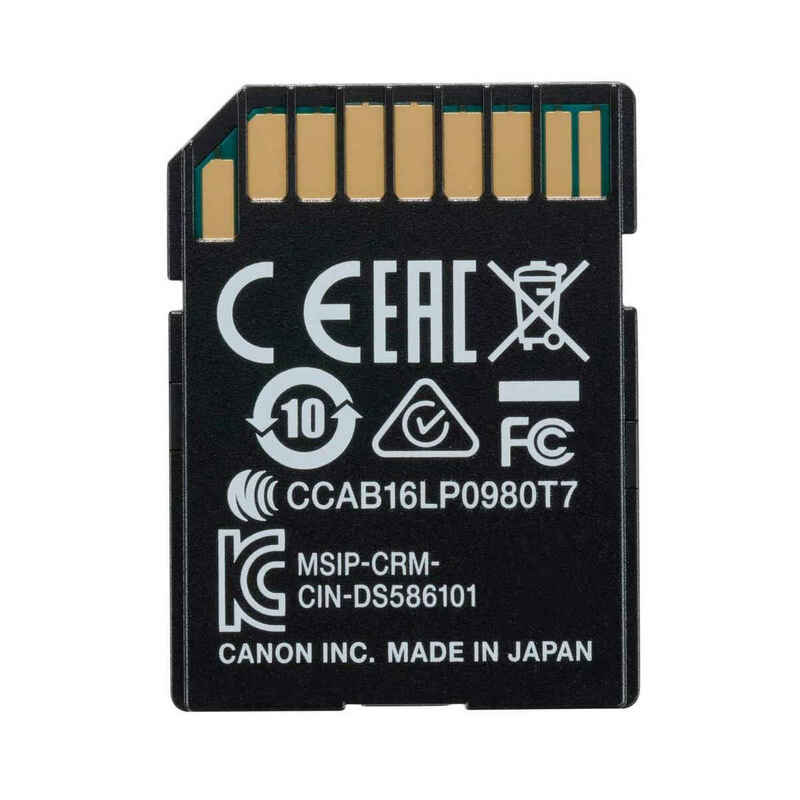 SD card-shaped Wi-Fi accessory designed strictly for use with the EOS 7D Mark II, W-E1 EOS 5DS and EOS 5DS R Digital SLR cameras. Compatible with iOSÂ® versions 8.0/8.1/8.2/8.3/8.4/9.0/9.1/9.2/9.3, Android smartphone and tablet versions 4.1/4.2/4.3/4.4/5.0/5.1/6.0. Data charges may apply with the download of the free Canon Camera Connect app. This app helps enable you to upload images to social media services. The Wi-Fi Adapter W-E1 must be inserted into the available SD card slot. The W-E1 does not have storage and is not designed to record images. To record and store images, a CompactFlash card must be used in the dedicated CF card slot. Wi-Fi capability provides easy transfer of images and videos (from the EOS 7D Mark II only) in MP4 format to a compatible smartphone or tablet*, and remote still photo shooting and camera still photo setting changes. Provides Wi-Fi capability with a computer using EOS Utility and enables remote shooting of still photos and quick setting changes, as well as easy transfer of images and videos.